Manchester United would reportedly remain open to offloading Romelu Lukaku at the right price during this summer's transfer window. Manchester United have reportedly indicated to the agent of Paul Pogba that the midfielder won't be sold during the summer, unless his suitors match their £130m price tag for the Frenchman. Manchester United striker Romelu Lukaku is open to the prospect of pursuing a fresh challenge away from Old Trafford, his representative Federico Pastorello has revealed. Manchester United are reportedly regarded as the favourites to sign Wilfried Zaha from Crystal Palace following the permanent recruitment of Ole Gunnar Solskjaer at the helm. Manchester United are back in the race to sign Belgian international winger Yannick Carrasco, according to a report from the player's homeland of Belgium. Carrasco, who currently plays in China, is said to be desperate for a move to the Premier League this summer. Reports this morning suggest that Wilfried Zaha could make a shock return to former club Manchester United. The Ivory Coast international, who had a short and unsuccessful spell at Old Trafford, is amongst a list of players that the club would like to sign in the summer. Barcelona have been linked with a free transfer move for Manchester United attacking midfielder Juan Mata, according to a report from the Daily Mail this morning. The former Chelsea player, whose contract will expire this summer, has informed his agent that he would like to leave Old Trafford amidst plenty of interest from at home and aborad for his services. Spanish giants Real Madrid are reportedly plotting a club-record bid worth £125m in order to acquire the signature of Paul Pogba from Manchester United in the summer. 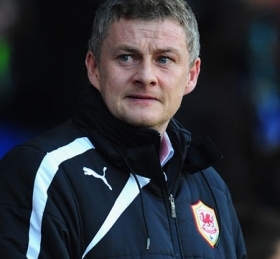 Manchester United boss Ole Gunnar Solksjaer has spoken about the ambition of leading the side to trophies after being handed with the permanent head coach role. Manchester United's hierarchy are reportedly reluctant to part ways with Alexis Sanchez when the transfer window reopens at the end of the campaign. Manchester United have reportedly decided to snub any advances from Real Madrid to acquire the signature of Paul Pogba in the summer.